It’s been yet another epic season on the mighty Middle Fork American, but the fat lady, so to speak, is about to give her final encore, and that, my friends, is our cue to pack up and head back to HQ for the year. This is your last chance to tremble and giggle as you scout Tunnel Chute rapid and then heed the “get down” command as you hurtle toward the chute……it’s your last chance to watch portage at Ruck-a-Chucky…your last chance for a leisurely lunch prepared riverside by your intrepid river guides…. and your last chance to enjoy the lazy calm stretch in between class III and IV rapids. Our 2013 season on the Middle Fork wraps this weekend, and then it’s O-V-E-R until next year! 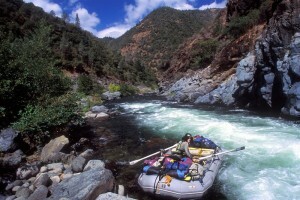 Check out our Middle Fork Rafting Video if you (or your buddies) need more convincing.